Welcome to Boutique Backpackers, in the very centre of Edinburgh, where you can find small size en suite dormitories for the best prices! 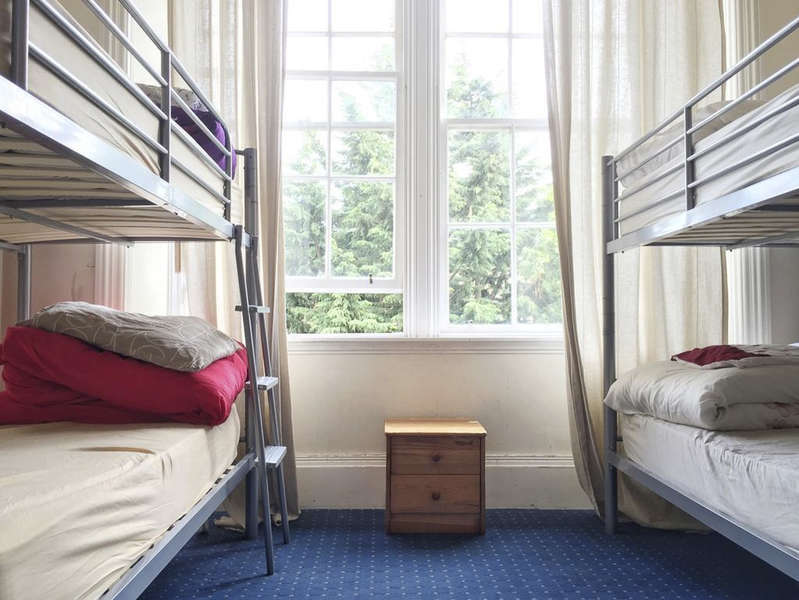 We offer 4-6 bed dormitories with private and shared bathrooms. Free Wi-Fi, Free Lockers in every room, Free Bed Linen, Self-cater Kitchen, Free TV, Free Board Games & Books and more. Towels, UK Power Pdaptors, Padlocks and more available for rent. Maps & Free Tourist Info provided. We are more than happy to help you with booking tours and planning out your activities! Our reception operates on limited hours. Please, state your time of arrival when booking and contact us if your time of arrival changes. We can arrange a late check-in, just email or ring us. We can not guarantee you will be able to check-in before 3 PM or after 11 PM if you do not let us know in advance. You won't be able to check in without a government issued ID (passport or driver licence). For large Group Bookings, please contact us directly. Plane - Take Airlink 100 bus from the airport. It costs £4 and the driver gives change. Arlink 100 goes every 10 minutes from 5am till midnight, every 30 minutes during the night. Just get off at Shandwick Place stop, cross the road and walk a few steps to the right. It is a 30 minutes ride. Train - Exit from the Waverley Station (the main station) onto the Princes Street. Turn left and walk towards the east end of Princes Street for about 10-15 minutes. At the end of Princes Street, keep walking straight ahead and you will find Shandwick Place. Walk for 2-3 minutes more, we will be on your left-hand side, number 87. Bus - Same as train. No Smoking, Pets or Children.